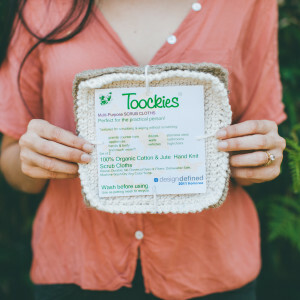 In our recent Spring Clean Box, we have included Toockies, a set of two multi-purpose, organic cotton and jute scrub cloths that are handknitted by the women of Nababpur, a small Shanti village in India. The men of Nababpur village make less than two dollars every day and often squander their earnings on alcohol or gambling. Most of the women are expected to stay at home and tend to their children. The handful of women who work as domestic help in nearby towns earn less than one dollar a day. 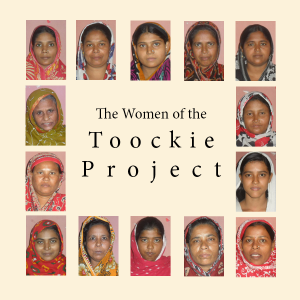 The Toockie Project has given the women of Nababpur village the chance to achieve financial freedom. Already, 270 women have been trained and 400 are currently on the waitlist to join the project. “All of the women are earning money, and that is the real, basic ambition of our project,” says Jaya Basu, co-founder of the Toockie Project. Basu established a community center and along with her partner, Anna Marie Stauss, the two teach women the trade of knitting, as well as provide a location for them to focus on their craft. Most of the artisans, however, choose to work from home, which affords them the flexible work hours they need to care for their families. 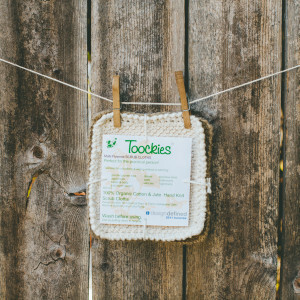 The training, yarn and packaging are all included for the artisans thanks to their partnership with the Toockie Project. In order to prevent repetitive strain injuries, the project limits each woman to twelve pieces per day, or eight hours a day of work. 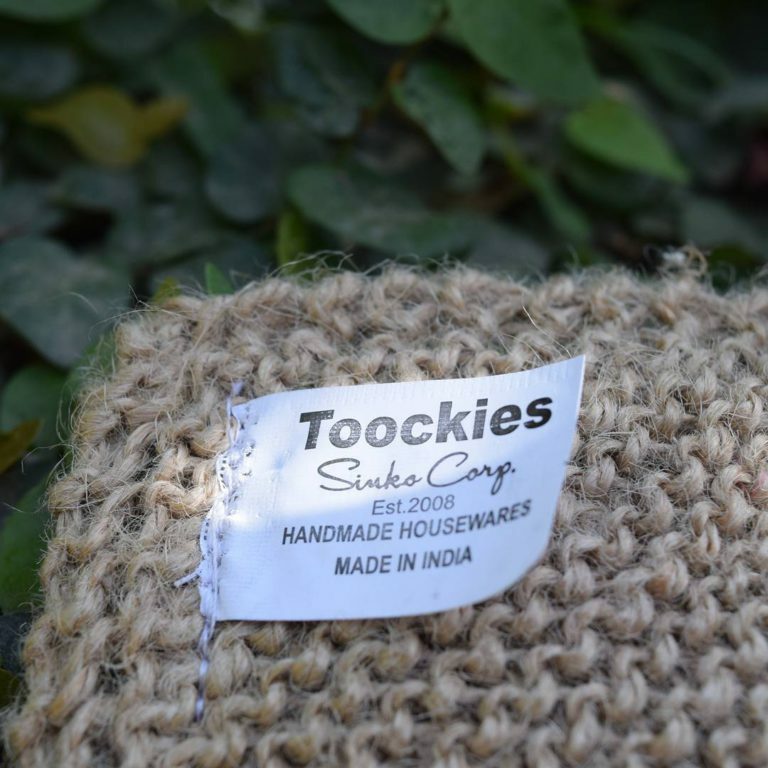 The Toockie Project pays their artisans based on the average time it takes to make a Toockie and double the minimum wages for India. The women earn more than their husbands; this valuable economic contribution to their families has resulted in a reduction of domestic violence. On Stauss’s most recent visit, the women told her they were grateful for not being hungry anymore. Those who knit on a regular basis no longer depend on their husbands to feed them. One woman said, “We like this job because it helps us improve our standard of living.” The results of the Toockie Project show how integral the program has become for these women, who are now able to earn a dignified living and given the opportunity to lead an independent and liberated life where they are acknowledged, respected and valued.